What time is it in the world? The question is asked throughout the show. 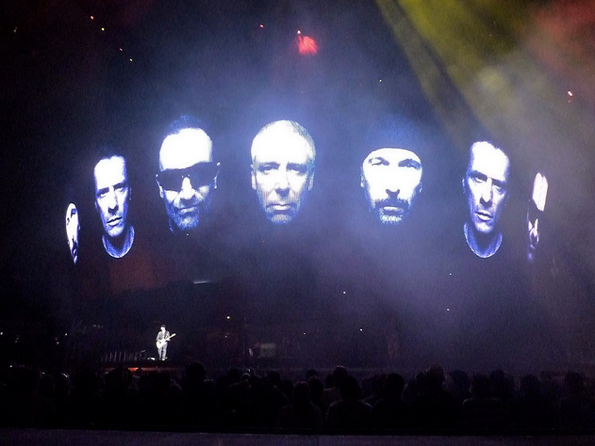 Many questions are posed on screen at the intro to their spaced out performance of “Zooropa”. A question not asked but implied is “What are we doing with our time?” But itʼs Saturday night, what to do? Sci-Fi ﬁlm, club, motivational speaker, experimental video exhibit, rock concert, political activist rally, rave… maybe church? Hell, why not have it all? 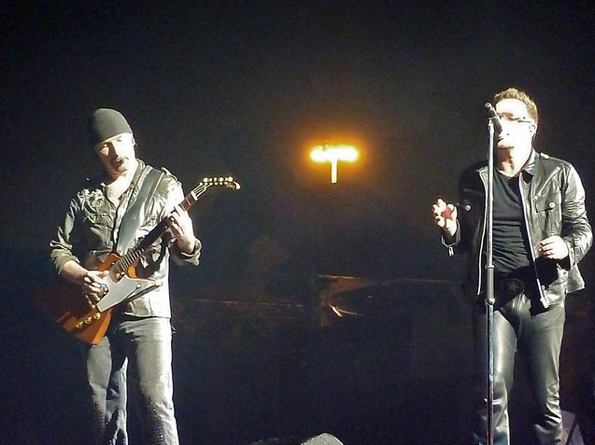 U2 respond, delivering a powerful, otherworldly performance. 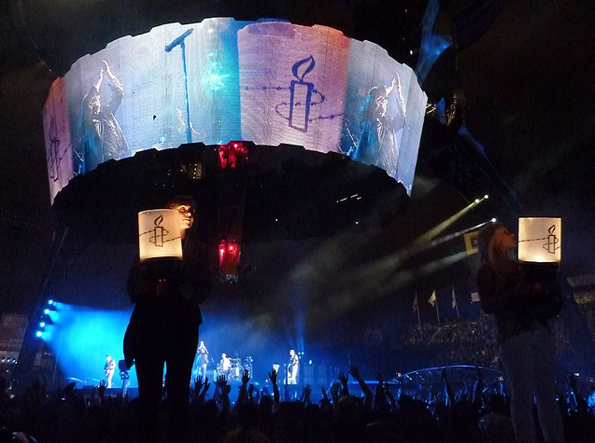 As always gospel and politics are a large part of the U2 experience. Now the message is expertly weaved through the music. Some would say itʼs not time for church or politics at a rock concert, or vice versa. No time to party with so much turmoil in the world. What is gospel doing next to dance, or rock with opera? 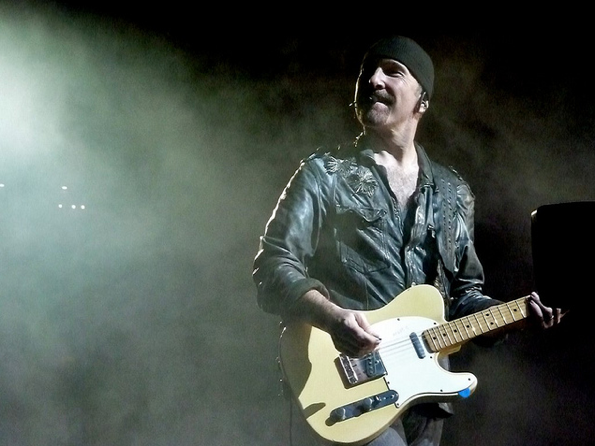 By playing it all, U2 suggest there is no speciﬁc time or space for these things. It can all happen at once. 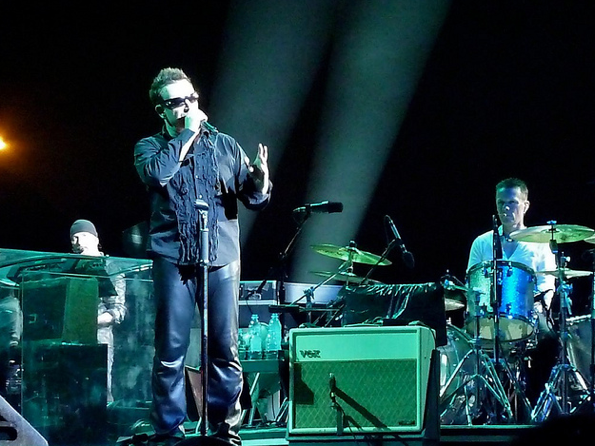 With the 360 tour U2 doesn’t just ﬂirt with these social constructs, it completely and literally lifts the walls and barriers away. 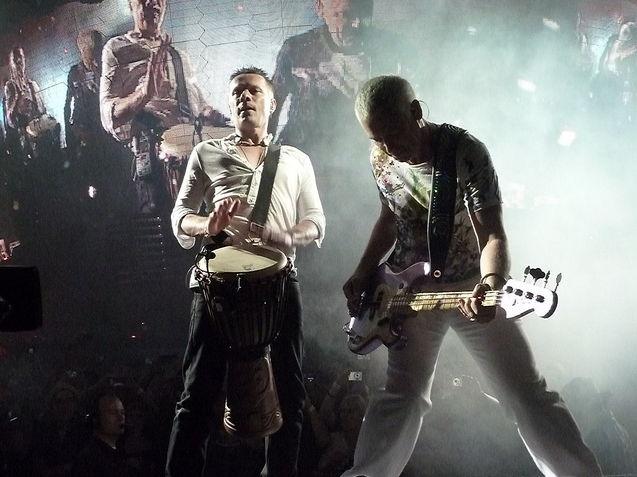 At mid-show the band is completely enclosed and obscured during the experimental space-out of Zooropa. Paranoid questions ﬂood the cocoon-like barrier. It starts ominous and otherworldly looking like something from Close Encounters. The pace quickens and chorus kicks in, searchlights beam out across the stadium from the structure, as if searching for answers, the band or humanity. “Dream out loud” echoes repeatedly. It is the show centerpiece. The beginning of the search, for hope, peace, life, love, pleasure, truth, God… the energy of the quest itself reﬂected in U2ʼs classic songs about ﬁnding unity through difﬁculty and diversity like “Sunday Bloody Sunday”, “Pride”, “Beautiful Day”, “Walk On” and “One”. These aren’t just happy or uplifting songs, each earn the climbing anthemic lift through conﬂict, question, and struggle. 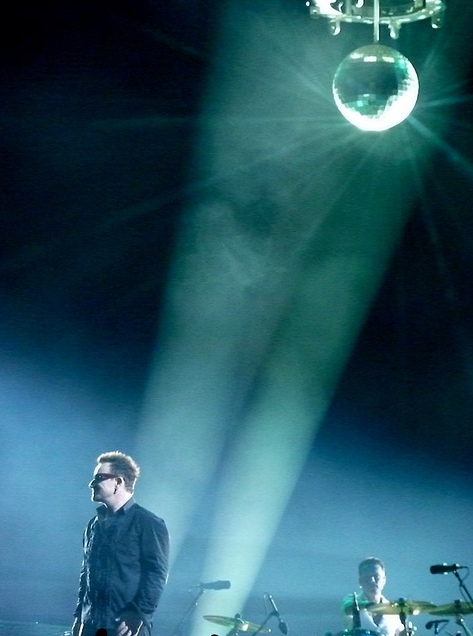 U2 doesn’t just show us, they carry us with them. 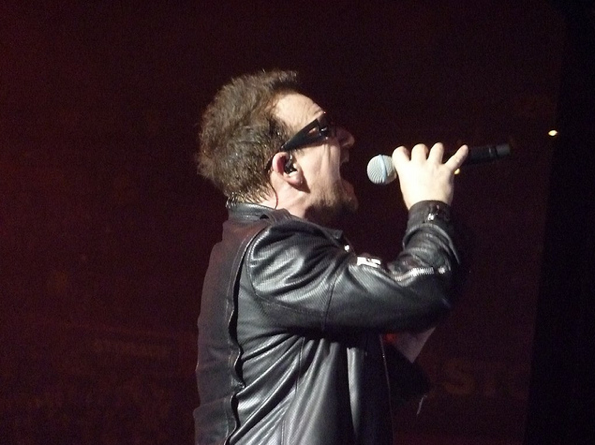 The audience is part of the experience which Bono lets carry the songs out en masse. By Zooropaʼs end, the literal wall separating band and audience is lifted. 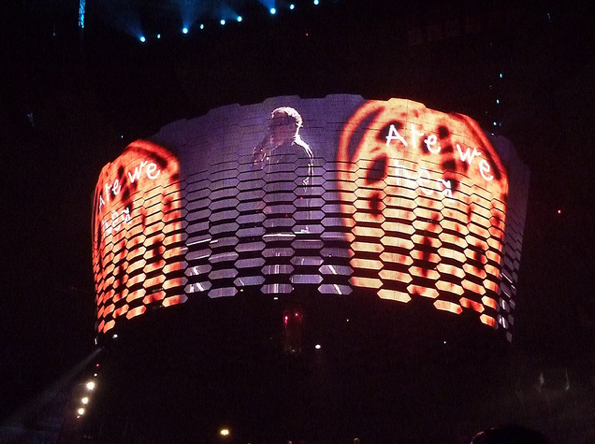 Yet that is every U2 show on this tour. Tonight was something more special. A gift to cult followers. 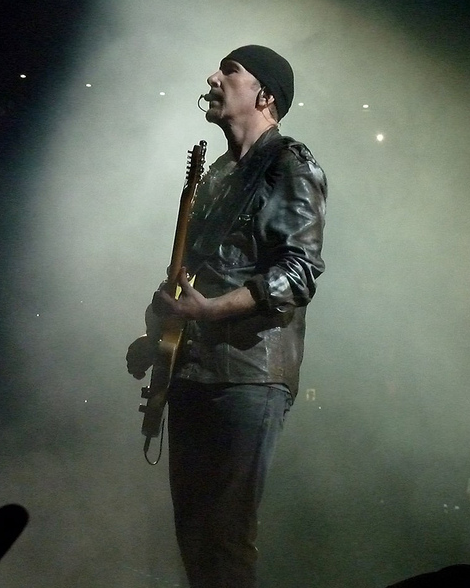 With such huge production, and the desire of the band to give each fan an equal performance, one of the big criticisms of U2 live, is a lack of change in setlist. 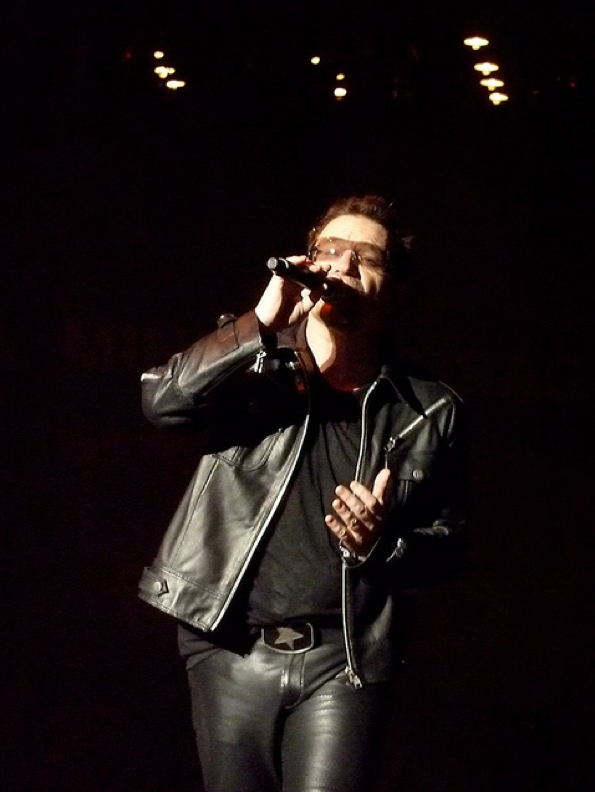 By the second song, the U2 cult got their reward, criticism answered. “The Fly”, not performed since 2006 returned, and a full 5-song set from Achtung Baby started the show with ferocity. The masses responded with enormous sing-a-longs easily drowning out night 1 and the Rose Bowl 2009 show. It was a more than just a stellar performance, it was one of those magic moments where band and audience became one. The giant space stage transported away, and all of us surrendered to the moment. The time is now.